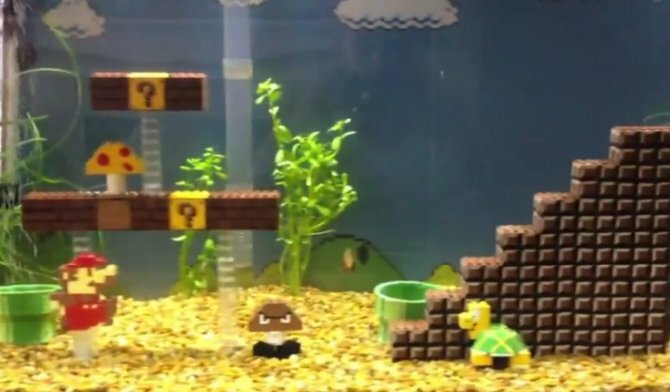 Check out this aquarium, inspired by the popular Nintendo game. It's a 55-gal tank and the decor has been built using Lego bricks to recreate one of the levels from the game. It's been quite skillfully done. You can see some additional pictures showing how it was set up, posted by the creator's room-mate on Reddit. And whether you're a games fan or not, you have to admit that it's different!